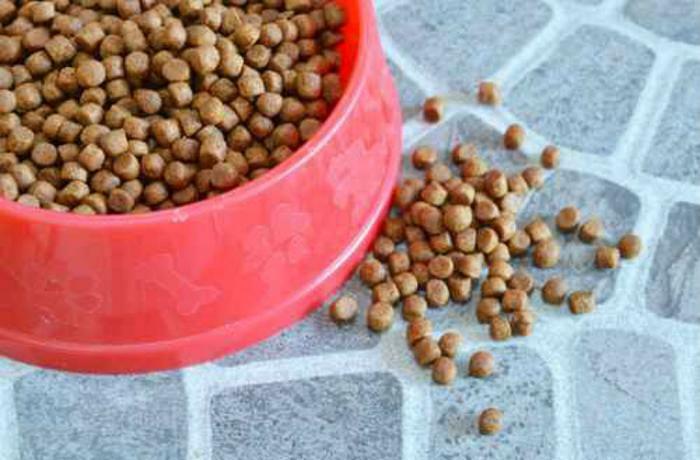 How often should you clean your pet’s food bowls? Pet bowls were recently dubbed one of the germiest items in American homes. Yet, 1 in 5 pet owners who responded to a recent survey by Petco admitted to waiting at least a month to clean them. They should be cleaned far more frequently, experts say. In an interview with VetStreet.com, Dr. William Burkholder explained that the microbes that live in your pet’s mouth can be transferred to any leftover bits of food in his eating or drinking bowl, creating an area where bacteria can flourish. “What kind of bacteria grow in the bowls depends on factors like the environment, exposure and oral hygiene of the animal,” Burkholder said. So, how often should you clean your pet’s food bowl? Daily, according to experts from the Center for Veterinary Medicine at the Food and Drug Administration (FDA). To prevent the growth of bacteria, pet food bowls should be washed after every meal with hot water and mild dish soap. Water bowls should be washed at least every day or two. Additionally, pet owners should make sure to wash their hands with warm, soapy water for at least 20 seconds before and after handling pet food to reduce the risk of contracting Salmonella. Pet parents can rid their pet’s bowl of residual food or film several different ways -- by hand or by enlisting the help of a dishwasher. Scrubbing the dish with hot, soapy water is an effective cleaning method, but bleach can be used as an added precaution, says Burkholder. The National Safety Federation (NSF) recommends placing your pet’s bowl or dish in a 1:50 bleach rinse (one tablespoon of unscented, liquid chlorine bleach in one gallon of water), soaking it for about ten minutes, then rinsing it thoroughly and allowing it to air dry. Tossing pet dishes in the dishwasher with other dishes is generally fine, but in some cases, pet owners may need to wash pet bowls in a separate load. If you have a baby or family member with a suppressed immune system, for instance, it might be safer to run a separate load.